From home to office, we use the internet everywhere. When it comes to organizations, then the router is indeed an entirely essential device which can connect several systems with one internet connection. But sometimes it might happen that you may face issues like the router is not connecting to the internet or router is not giving high speed. Here you need assistance from an expert. 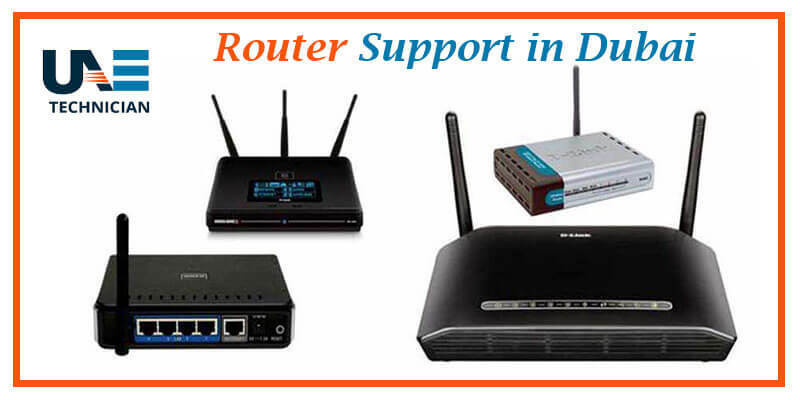 UAE Technician provides the services which can take care of all issues related to routers. With the help of a 24*7 support system, you can contact us at any time. Our technicians will guide you to the best solution which is affordable and productive. What is our area of specialisation? We have gained expertise in both wired and wireless routers. Our technicians can help you in enhancing the speed of internet by resolving any queries and rectifying issues related to router connection. From updating latest drivers to firewall setting, we can offer you best network solutions. With a vast experience, we have served several individuals and organizations. Even from far edges of Dubai, UAE Technician has helped customers in getting best out of there devices. By providing productive and efficient solutions, we have gained a reputation as the leader in the industry. Contact us and experience the state of art services from certified technicians without delay. We promise to deliver satisfaction to our customers which we maintain in every solution we provide. Call us today and get our experts working on your routers so that you can utilize the full potential of your device.